Gaga made an impressive entrance for the red carpet. From her all black edgy outfit to her killer sultry eye, Lady Gaga made her presence known. 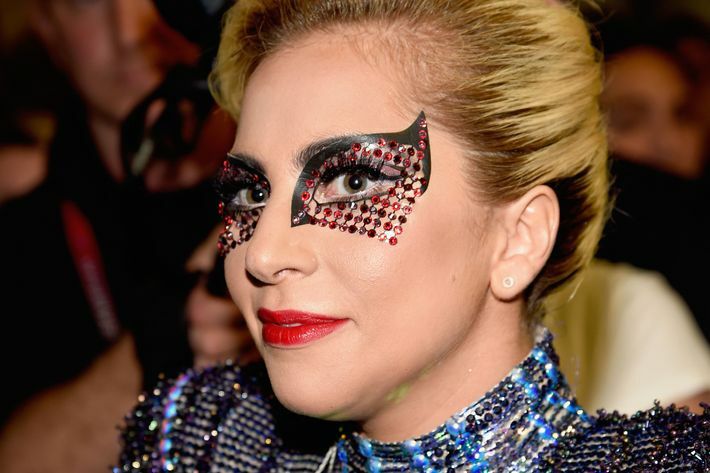 Lady Gaga’s go-to makeup artist, Sarah Tanno, created an edgy “flame eye” for the night’s look. Tanno had applied Marc Jacobs Beauty Highliner Matte Gel Eye Crayon Eyeliner in (Fine)Wine 47 ($25) and smoked it out to create a sultry eye. 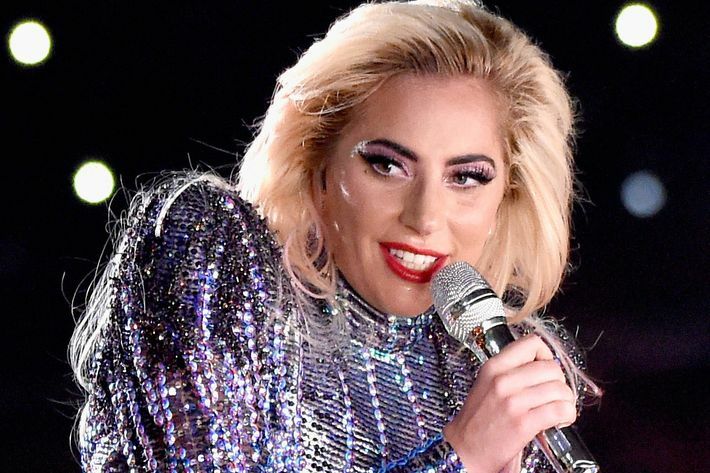 Tanno also crafted a flame-shaped cat eye on top of this, and completed the look by adding crystals (just like she did for Gaga at the Super Bowl – See below). The result of this look was a showstopping, sparkling style that held up even through the singer’s moment of crowd surfing. Lady Gaga at the Superbowl!